What Are The Most Popular Coffee Drinks & How Are They Made? Coffee has come a long way since it was simply a strong, black, boiling hot drink, hundreds of years ago! Nowadays you can drink a huge treasure trove of different varieties, different roasts, coffee blends and of course, drinks. 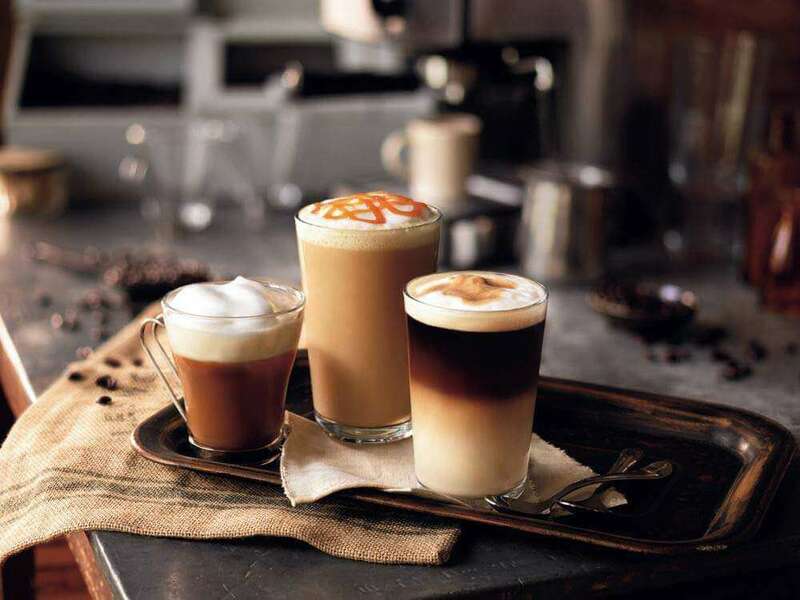 From creamy milk-based coffee drinks to the darkest, bitterest double-shot Espressos, ice cream based coffee drinks, coffee milkshakes, Italian Cappuccinos and French Café Royal with a little dash of cognac. There are just so many. We’ve listed the favorite coffee drinks and how they’re made so you can go ahead and make your own – all you need is a great quality coffee machine and some fine ingredients. Let’s start with Espresso based coffee drinks seeing as all coffee drinks are derived from the strong, black liquid we simply adore! The Espresso was born in 1884 when Angelo Moriondo of Italy developed a brewer that worked by pressurizing steam and water through the coffee. The machine was further improved in 1901 by Luigi Bezzera and the single serve machine first came into being in 1905. 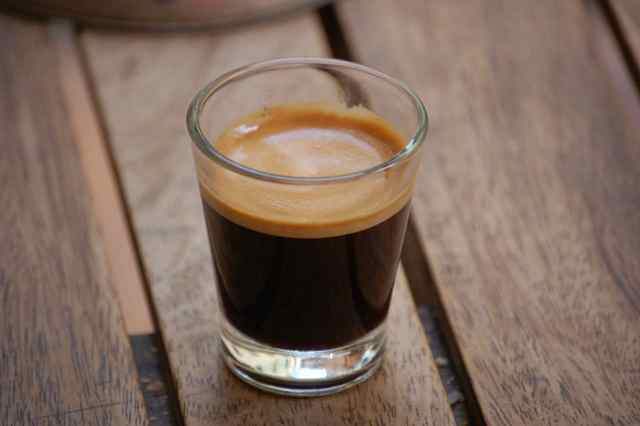 The word Espresso means “pressed-out”. The ability to froth the milk up! When it comes to making a great tasting Espresso versus a Cappuccino, the difference is in the quantities. It’s also in the type of machine you have that produces the shot of Espresso, the grind consistency and water temperature. It’s best to have a set of scales and a timer close by to get it spot on. The ideal temperature should be anything between 92 Deg C and 96 Deg C.
You also need 14g of coffee for a traditional Italian 30ml double Espresso. 7g for a single shot. Before you switch your machine on and start the process, remember your coffee should take 30 seconds to extract which means 30 seconds between the time you switch your water on and switch it off. Always use a burr grinder to extract your coffee rather than trump blades as they won’t overheat your coffee. Cappuccino first came to being in Italy during the 1900’s although it really gained its popularity in the 1930’s. The name comes from a poet who described a group of friars dressed from head to toe in brown fabric; they were nicknamed “Cappuccio”. Essentially, Cappuccino is Espresso with a dollop of frothy milk on top, sometimes sprinkled with a little dark chocolate. To make the perfect Cappuccino you need a good quality coffee machine with a steam arm and thermometer. You also need a milk jug, milk and Espresso coffee. Follow the steps in the Espresso section to make the Espresso shot. Start by texturizing your milk. Fill up your milk jug by 1/3 (remember, it will froth up so you don’t need anymore). Too much and your jug will overflow, too little and it won’t froth up enough. Place the steam arm inside the milk jug, just under the top layer and switch it on. Your milk should start to foam as the hot air releases into the jug. Start to gently move the arm lower into the jug to stop it spitting milk everywhere! Switch the steam arm off before it gets too hot and remove it. Make the Espresso. While it’s dripping into the cup, give the milk a quick stir gently. Then when the Espresso is complete, pour the milk from height on top so you get a distinct separation between the two liquids. Add a sprinkle of dark chocolate if you like. 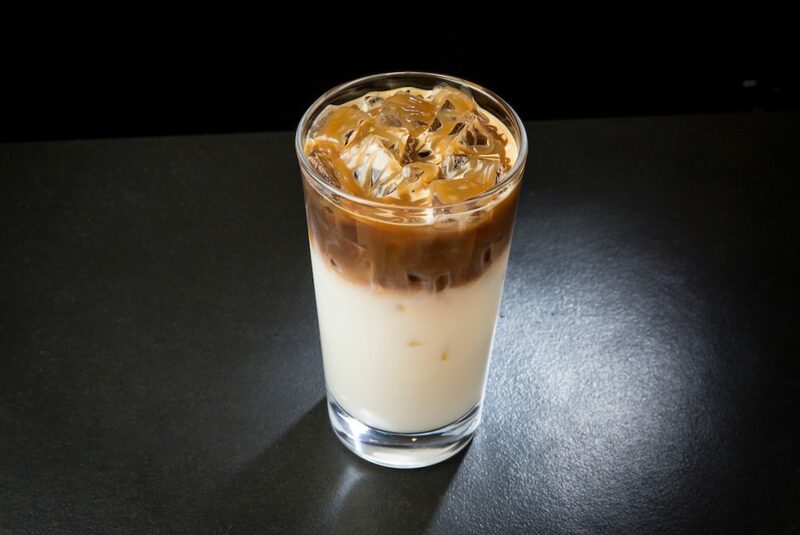 Another infinitely popular coffee is the creamy, milky Latte which is another Espresso-coffee based drink. Contrary to popular belief, this drink does not come from Italy and is actually an American favorite that became immensely popular in the 1980’s with the first ever Latte being poured in Seattle of all places! To make a quality Latte, you’ll need a good coffee machine with a steam arm (or wand), a milk jug, thermometer, good Kona coffee and of course, milk. The trick here is not to use too much milk foam in your drink, you only want a thin layer or your drink will be far too milky to truly enjoy. Start by working on your Espresso shot (see above for how) and get it prepared, then place into your Latte cup (if it hasn’t already dripped into it). While the Espresso is brewing, you should start on heating the milk. Fill your milk jug up with 1/3 of milk to allow it to expand during the foaming process. Put the steam arm into the milk jug, just beneath the top layer of milk. Let the steaming process begin and move the arm to the side of the jug as the milk starts to foam. Don’t let the milk foam for too long as it will burn or lose its taste so turn off the steam arm and remove it when it’s ready. Then pour the milk carefully into the Latte glass from some height (2” above the glass) reducing the height as you empty the jug. 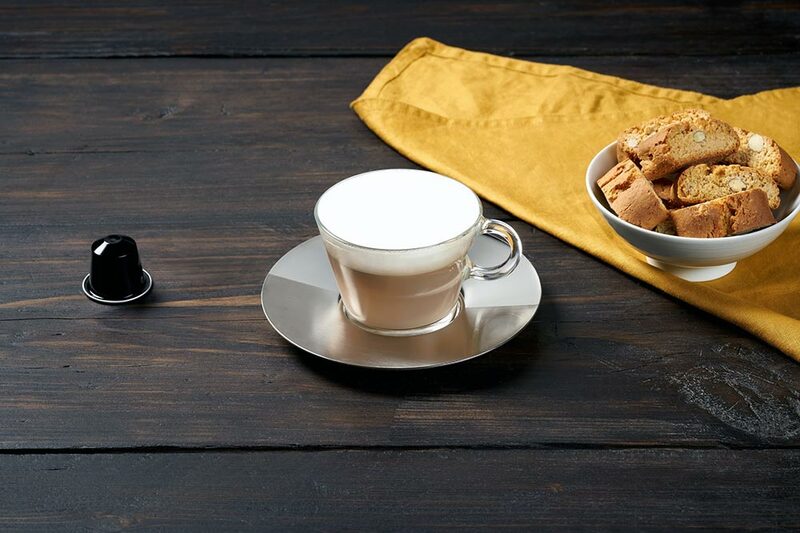 Voila – your perfect Latte is complete! Again, a Macchiato doesn’t have a long history and was dreamt up by baristas in the 1980’s as another variety of Latte. This coffee is definitely a derivative of the Latte so in order to be able to make it well, do perfect your Latte first. Its routes do lay firmly in Italy with Espresso based coffee but it’s a popular American drink too. It has the same milk content as a Latte, but less Espresso, with usually just half a shot used. You’ll need a good quality coffee machine, a steam wand or arm, a milk jug, thermometer, Espresso and milk. Pour 1/3 milk into your jug and prepare your steam wand. Once it’s ready, put it into the jug just underneath the top layer and allow it to start bubbling up. Move the arm downward to stop the milk spitting but keep an eye on it as you don’t want it to overheat or burn. In the meantime, you can start to make your Espresso (see above for how) but only use half a shot. Once the milk ready, pour it into a Latte glass, reserving a tablespoon full for later. Then allow it to rest so you get a nice, clean layer and add your Espresso which should sit on top. Then add the tablespoon of foam and allow it to settle. You should have three distinct layers. Finish with a sprinkle of dark chocolate or cinnamon, whichever you prefer. We’d love to know if you try any of the above yourself and what your favorite coffee recipe is.